For me, opening night of a production is my last night of work. That may sound strange but my job as director is done. After months and months of developing the ideas for the production and extensive planning with my technical and designer collaborators, our jobs come to a big climax during the final few days before we open. This is what is know as technical rehearsal. Technical rehearsal is the place where we combine all the work we have been doing, in the rehearsal room, with the actors (for several weeks) with the lights, sound, set, props, animations and costumes. 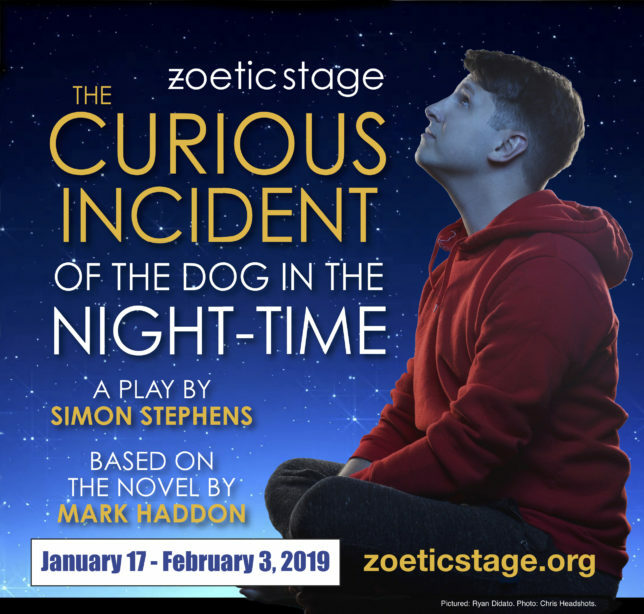 It can be quite and undertaking as it was with The Curious Incident of the Dog in the Night-Time. But it is in the rehearsal room, working with the actors, figuring out how moments work and digging to the core of a scene that is most joyful for me. I am a creative person who is unafraid of my creativity. As a director, I think that it is our job to tell stories creatively. 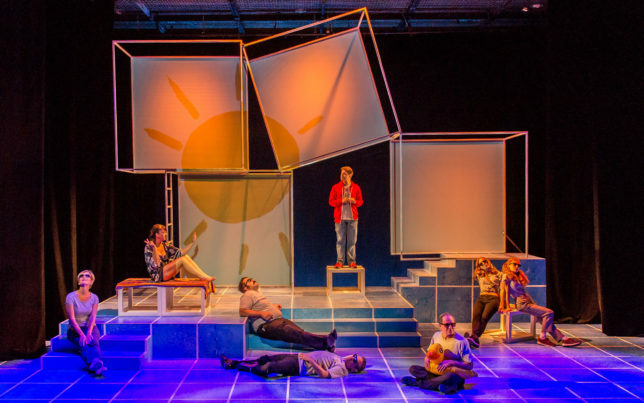 With The Curious Incident of the Dog in the Night-Time, I felt a sense of freedom working with my actors and movement coordinator Jeni Hacker to explore endless possibilities- well, endless possibilities on a budget. The rehearsal room was ego-less and eager to tell the story of Christopher. The rehearsal room was full of tears- and laughs but mostly it was full of hard work. I am also a person who is unafraid of hard work. As I write this on the morning of opening night, I can’t thank the company of actors, designers and stage management enough for their diligence, care and trust in the project and allowing me to play. I’ve been asked time and again why I get so sad on opening nights. Recently I’ve come to realize why. It is because my time to “play” is over. It’s now time for the actors and the production to live on its own- and grow.